Child Care Resource and Referral (CCR&R) is a confidential information and referral service that provides resources to educate families on selecting quality child care and community resources to meet each family’s needs. Choosing the right early learning program is one of the most important decisions a parent will ever make. CCR&R services help families make an informed choice through services including child care provider listings, consumer education, and referrals to local social service organizations in the community such as food, housing, clothing, and medical care. The Coalition offers information about state funded early learning programs such as, but not limited to School Readiness, Voluntary Prekindergarten, Head Start, and Early Head Start. CCR&R maintains a database of all legally operating providers in Seminole County including licensed, licensed exempt; faith based and registered family child care homes. Families can request a customized unbiased computer generated list of child care programs meeting their specific needs. The provider listing is based on the family needs and matches those with the provider’s services. The search details can include location, care-schedule, curriculum offered, the program’s environment and other services offered by the provider. CCR&R also assists potential providers with information on startup and supporting child care providers, while promoting quality, availability and affordability of existing services in the community. Families can request a child care provider listing and community resources by completing the Provider listing and Community Services Request Form, calling our CCR&R parent line at 407-960-2468 or visiting our office. CCR&R requests are processed within two business days and can be provided by email, mail or made available for pick up at the Coalition office. CCR&R is available from 7:00 AM to 6:00 PM, Monday through Thursday, with the exception of legal holidays. 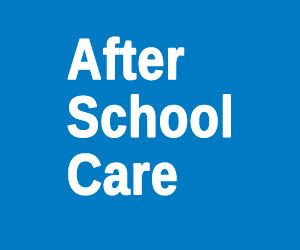 The resources below can help you when choosing a child care provider. CCR&R is part of the statewide CCR&R Network funded by the Florida Office of Early Learning. Parents can search for child care providers and get inspection reports and licensing history records statewide with the Florida Department of Children and Families database. We can also help with child care and related services for children with special needs through our Inclusion Warm Line. The Warm-Line helps families and providers with concerns about growth and development, behavior, classroom strategies and referrals to other agencies. Requests can be submitted on line or by calling our Warm-Line at 407-960-2481. Our Child Development Specialist will contact you to discuss your concerns and determine next steps. CCR&R is a free service for families and providers offered without regard to age, level of income or individual circumstances. CCR&R makes referrals only, not recommendations. We do not warrant the information provided. We do not license, endorse or recommend any particular provider, nor can we assure a program gives quality child care. 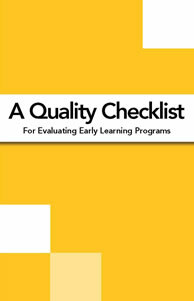 The Standards are an integral part of Florida’s quality early learning system. These Standards describe an age-appropriate understanding to the way young children think, create, and engage in the early learning process. They aid in creating a common vision for children in the State of Florida. The online format allows users easy access to this important information anytime. You may search by age or domain or both. Find useful tips for the classroom and home. Print the Standards for customized classroom use. Visit http://flbt5.floridaearlylearning.com/ for more details. As a parent, no decision you make will be more important, or more difficult, than choosing a child care situation that best meets your family’s needs. We are committed to helping parents find answers to their questions regarding how to locate quality childcare and other early care and education concerns. Required staffing ratios are met. Written policies are provided (including discipline policy, expulsion). Group size is small enough to allow individual attention. Quiet and active play is balanced. Activities are age appropriate and address the child’s needs (physical, emotional, social, developmental). A variety of music is played during the day. The children have opportunities to be read to during each day. The room is bright, cheerful, and clean. Enough space is provided for activities. There are enough toys, paints, books, etc. for all children. Equipment (chairs, tables, sinks, toilets) is all child size and in good condition. Emergency contacts are kept on file. Staff members have CPR/First Aid training. Staff members observe safe hygiene (wash hands before and after diapering each child and wiping faces, staff encourage children to use safe hygiene). Staff members change gloves after each diaper change. Diaper changing pads are of non-absorbent material. Infants/toddlers are able to explore the environment safely. Caregivers have worked there for a year or more. Caregivers appear to enjoy what they do. Positive discipline techniques are used. Children are treated as individuals. Caregivers comfort the children when needed. Staff members have participated in ongoing professional development. Lead teachers have CDA Credential or a college degree in early childhood education. 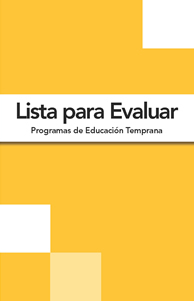 Centers have NAEYC (National Association for the Education of Young Children) or other accreditation. Family child care providers have NAFCC (National Association for Family Child Care). Parents may make surprise visits (open-door policy). Lines of communication between parents and staff are open. Parents are notified and provided with a written notification if accidents occur. Children and staff seem happy here. I would feel comfortable leaving my child here. I would be happy here as a child. There is a calm and nurturing environment at this facility.